Ever since its formation in May, the ELPA has taken great steps forward towards improving the sport around Europe. 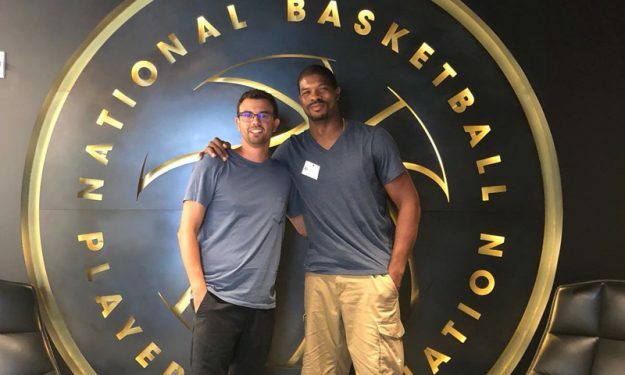 First Vice President of the EuroLeague Players Association Kyle Hines visited the NBPA headquarters in New York and shared ideas and discussions with the latter’s Executive Director, Michele Roberts, as well as Chief of International relations Matteo Zuretti. The ELPA is on to its first months of action and has already earned support from across the world, including the NBA. “I recently was able to visit the NBPA offices in New York. I was able to take a tour of the facility and see first hand how the NBPA offers many resources for players of the NBA. I was able to share ideas and talk about future collaborations among the NBPA and ELPA. One of the most important things from our conversation was that NBPA fully supports the formation of the ELPA. I look forward to the possibilities of future collaborations between both unions as we (ELPA) continue to grow,” Hines explains.